In October, Tatjana, her sister Juliette and her mother Ilana, were invited back to Odessa for the city’s 2017 Festival of Violins. 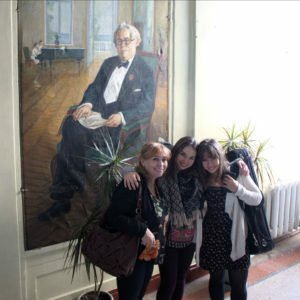 During the week, the girls and their mother played a recital in the Great Hall of the Stolyarsky School in memory of the Mordkovitch Family’s historic connections to this special school – the girls’ grandmother, Lydia Mordkovitch, studied there as a child and where their grandfather and great-grandfather were renowned Professors. 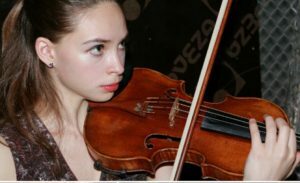 They later joined an open-air celebration of music in the Odessa City Gardens and culminating in the Gala Concert at Odessa Opera Theatre – Tatjana played Sarasate’s Carmen Concert Fantasy, Op.25, to great acclaim from a capacity audience.